QINGDAO KAISHUN IMP&EXP CO., LTD.
Qingdao Kaishun Imp&Exp Co., Ltd. is a leading professional truck body and trailers Reserching, Developing, Designing and Manufacturing company from China. We have been in reserching, designing, developing and manufacturing truck bodies and trailers for many years, Our main products are refrigerated and insulated truck body, dry cargo truck body, wing opening truck body, curtain side truck body, dropside truck body, mixer truck body, catering truck body, caravan trailer, enclosed box trailer, tipper trailer, refrigerated trailer, catering trailer, mobile shop trailer,…etc. we can also accept oem and odm truck bodies and trailers. 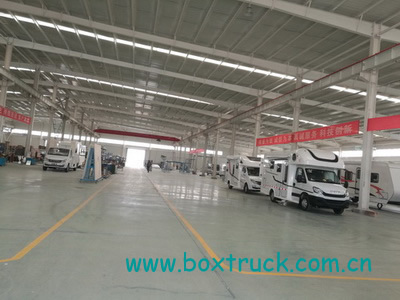 Our products have gain good repulation by high quality and good serivice in domestic market, our truck bodies have been widely used for FOTON, JAC, JMC, ISUZU, Hyundai, Hino, Chevrolet, Iveco, VW, ?…etc. Owing to high quality and good service, our products have exported to many countries, such as USA, Canada, France, Norway, Philippines, Myanmar, Malaysia, Thailand, Ghana, Jordan, Saudi Arabia, New Zealand, Australia, Peru, Chile, Ecuador,…etc. All of the exported products are well designed with easy assemble type,? so it can be shipped in disassembled type for saving the cost of freight. Welcome all of friends and customers visit our company for discussing, study, exchange of views and do business. Company faith: honesty, quality, service, cooperation, win-win.